Much to the delight of many investors, the stock market is seemingly finding a foothold, bringing with it a sense of familiarity, and an appreciation of reasonable stability that has felt lost to traders everywhere in what seems like an eternity of panic selling and buying in a news-driven market. The rebound in the market has been nearly as parabolic as the selloff, but now, with indices pressing strong levels of resistance, daily volume in the market is returning to normal as predictability enters back into the realm of standard expectations. With earnings season once again upon us and looking to boost the market through key levels, all routes must be considered when looking for stocks with the best chance of additional upside potential. 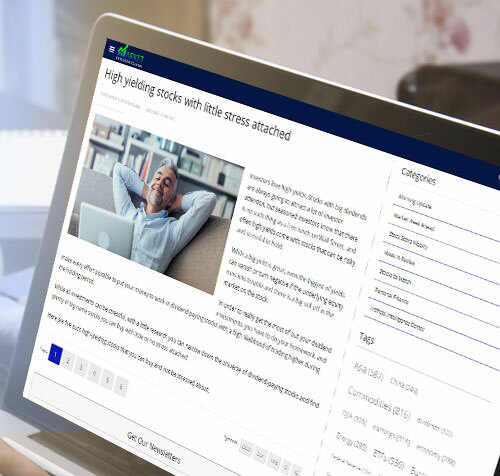 The Stock Score Report uses the combined approach of both technical and fundamental data to find the best candidates to follow on recent strength. This week we will be looking at the top five stocks in the Stock Score report, all of which holding an average Wall Street analysts’ recommendation of strong buy. The Meet Group operates various mobile social entertainment apps such as MeetMe, LOVOO, Skout, and Tagged. With millions of daily active users, the company hosts a powerful live-streaming video platform, keeping users engaged and generating revenue via in-app purchases, subscriptions and advertising. MEET has consistently placed in the top five for several weeks and would be a great stock to consider adding to your watchlist. The stock is currently trading at $5.36, having risen 59% since the December lows. On Dec. 18, the company announced plans for new features across multiple apps and provided updates on live-streaming video and advertising results, saying these new features will help to boost their growing live video revenue. MEET gets an impressive score of 98 in all four categories, with a median target price of $7.00, which is 31% above the stock’s current price. The Meet Group is expected to report quarterly earnings again on Mar. 6. Vanda Pharmaceutical places in the top five for a second-straight week after rebounding impressively from December lows. The stock sold off with the market in December immediately after VNDA spiked sharply Dec. 3. The rise in VNDA followed an announcement from the company of positive phase II study results for the drug tradipitant in patients with gastroparesis. The stock has made back a large portion of what was lost during the December selloff, showing continued interest in VNDA among investors. Vanda Pharmaceutical is currently trading at $29.86, with an overall stock score of 98. VNDA gets a near-perfect score of 99 in both long- and short-term technicals. As with all the stocks in today’s top 5, VNDA has an average analyst recommendation of Strong Buy. Vanda Pharmaceutical is currently up 110% year over year, with growth estimates of 77% in the next five years. The stock gets a fundamental score of 96, with a median target price of $42.50. VNDA is currently up 3.29% since it was featured in last week’s Stock Score Report Weekly. The company is has an estimated earnings date of Feb. 13. Companhia Brasileira De Distribuicao, or GPA, is part of the French conglomerate retail group Casino. GPA is one of the largest Brazillian companies operating in Latin America in the retailing of food, general merchandise, electronic goods, and home appliances, under various store names and concepts. CBD, along with many other Brazilian stocks, has risen sharply following the swearing-in of newly elected right-wing populist President Jair Bolsonaro on January 2. President Bolsonaro promised to fight corruption, crime, and economic mismanagement, stating his election had freed the country from “socialism and political correctness”. CBD is currently trading at $24.20, with an impressive score of 96 is all four categories. The stock is up 22.8% since December lows and has a median target price of $26.50. The company is expected to report quarterly earnings on Feb. 18. AXSM is another stock to make a back-to-back appearance in the Stock Score Weekly, currently trading at $8.21, or 4.85% higher since it was last featured. Axsome Therapeutics is a pre-clinical therapeutics developer and healthcare service provider, primarily dealing with central nervous system disorders like Alzheimer’s, but also develops non-opioid therapeutics for chronic pain. AXSM spiked sharply Jan. 7 following positive phase II trial results of AXS-05, a drug used in the treatment of depression disorders. This gives the stock a perfect 100 long-term technical score and a near-perfect short-term technical score of 99. With an overall score of 95 and a fundamental score of 86, AXSM has a median target price of $25.33 among Wall Street analysts, which is a whopping 208% above the stock’s current trading price. Axsome Thera has an estimated earnings date of Mar. 6. Kitov Pharma is development stage bio-pharmaceutical company. The Israel-based company develops the drugs KIT-302 and NT219, which are used in the treatment of osteoarthritis pain and hypertension. KTOV rose 53% Jan. 3 on news that the company would be entering a joint venture with Coeptis Pharma for marketing and distribution. On Jan. 14, shares of KTOV skyrocketed 169% after the company announced encouraging results from test studies of the drug NT219, a drug used in the treatment of cancer. KTOV is currently trading at $1.59, scoring high in both short- and long-term technical. 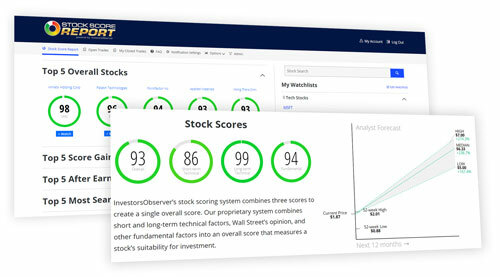 The stock has an overall score of 94, with a fundamental score of 86. A single analyst covering the stock has a price target of $12.50, which is an astounding 686% above the stock’s current price. KTOV is set to report company earnings again on Mar. 4.